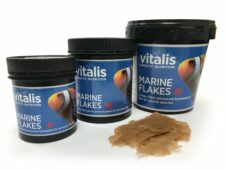 Vitalis Marine Flakes are the core technical feed that incorporates their expert knowledge of natural ingredients and preservatives to deliver a highly palatable and digestible balanced diet for captive Coral Reef Species. 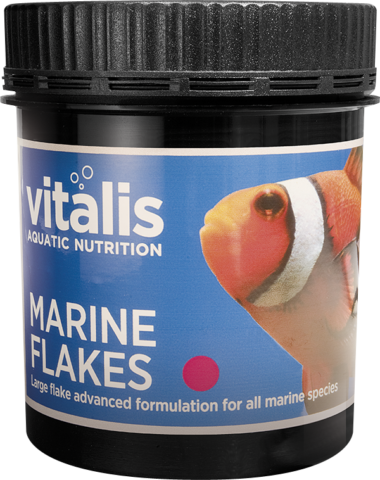 Vitalis Marine Flakes are the core technical feed that incorporates their expert knowledge of natural ingredients and preservatives to deliver a highly palatable and digestible balanced diet for captive Coral Reef Species. 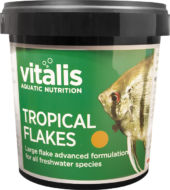 It can be used alone as a complete feed, alongside Algae flakes or in rotation with our technical Aegis range to maximize health and vigour. 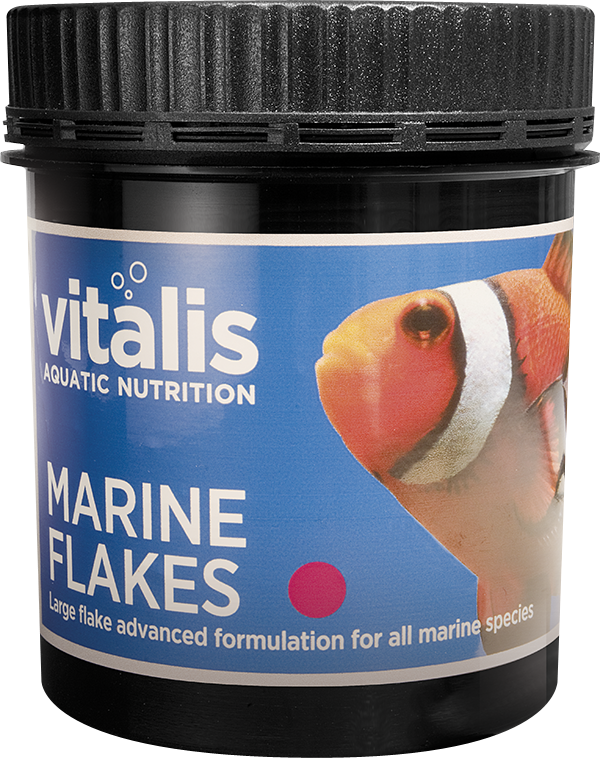 The principal marine flakes diet delivers a palatable and highly digestible balanced feed. 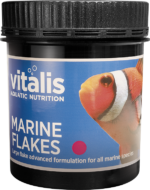 They may be used in conjunction with Vitals Algae Flakes and also in rotation with the Vitalis Platinum Marine Range to maintain peak health and condition in your fish. 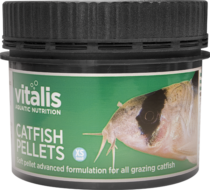 Protein 52%, Fat Content 10.5%, Inorganic Matter 9.5%, Crude Fibre 2%. 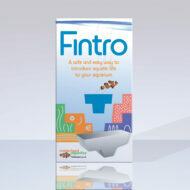 Please call your local Maidenhead Aquatics store today for more information and availability.